Would you like to learn to handstand? Would you like to improve your form? Local Motion and Planet Organic have put together a series of handstand clinics which will run every month and are FREE to anyone who wants to learn or improve standing on hands. When? Fromm 11am - 1pm. Learn from experts from a variety of backgrounds including Functional Movement, Yoga, Gymnastics, Crossfit and more! They will run a group warm up and mobility session followed by an hour of freestyle handstand practice under the watchful eye of one of our coaches. You will receive hands on coaching and get the chance to meet and mix with other handbalancers whilst enjoying free coffee (or hot drink of your choosing!). The perfect way to start your morning! To keep coaching standards high they have limited spaces so book early to avoid disappointment! Watch unlimited movies from just £17.40 a month! There's also great benefits with discounts on snacks and drinks and a number of other stores and restaurants. Click here for more details or to apply for your card. Get 30% off your bill with your Unlimited card - only here at Southside! wagamama have a new menu especially for summer! While you can still enjoy your favourite gyoza and spicy ramen, there’s lots of fresh new recipes to keep it light in the warmer days. The sun was out today so it was perfect weather to try the new summer menu on the wagamama terrace! While normally a ramen dish is our favourite, we couldn’t resist having a taste of all things new from the menu. To begin we ordered a starter of beef tataki (can also be enjoyed as a side). This dish is described as lightly seared and thinly sliced steak on the menu and it was complemented with a delicious Japanese mayonnaise and citrus ponzu. The dish is served cold and was great to share (although not with too many people!). We preferred not to have too much of the pickled beetroot with our slices because the flavours are quite delicate. However, we could easily have a side of pickled beetroot with any meal!! As for the new mains, we couldn’t help but try them all! All are very light and have a fresh feel to them. Starting with the omakase dishes, which are the chef’s specials, we enjoyed tuna served with quinoa, kale, sweet potatoes, edamame beans, red onion and papers. The tuna in the dish is served on the rarer side, just falling apart. It is complimented by the salad it sits on, making this feel very light and filling and definitely something we would reorder when it gets warmer. Sticking with fish, there’s a new donuri – this time with grilled bream. The sea bream has a great crunch to the skin that offers a change in texture and flavour to the rest of the dish. Like the tuna, it feels lighter than the duck donburi (one of our favourites!). It’s also served with a side of kimchee which we’ve become addicted to recently. Looking for something a little meatier? Try the sticky pork belly, served with a bowl of rice on a bed of miso aubergine, this dish is the sweetest of all the mains. There’s a honey-tasting glaze to the pork which makes it irresistible. Served with a ginger and chilli garnish, this dish can also add a little bit of bite. However, if you’re looking for a spicy dish then this isn’t for you! Personally, we have no problem with that and have added this to our favourites list. However, if you are more of a firecracker kind of person, the new samla curry offers a little bit of a kick to it. This fragrant curry won’t compete with the firecracker but can pack a kick once the chilli settles into the sauce. We opted for a tofu option (although you can go for chicken) and the flavours were amazing! First of all, the smell was to die for and immediately whet the appetite. Then the spicy lemongrass and coconut flavours balanced each other so neither were too overpowering. Those of us who haven’t got a spice tolerance can ask for no chilli and still enjoy the dish, while those of you who love your spice should allow the chilli to mix before tucking in! Some days are just too hot for warm food (or at least we’re hoping to get a couple of days like that!) so the new pad Thai salad is made for those kinds of days. It’s served with ginger chicken and prawns with a mixture of salad classics including mangetout, baby plum tomatoes and our much-loved picked beetroot. It comes with a side serving of peanuts and a nuoc and ginger miso dressing. What dressing? The nuoc and ginger dressing has a slight fish taste and can come across quite strong. We only drizzled a little over before adding our peanuts so not to overpower any of the other flavours. What to drink? Well, we could go with one of their 14 juices which we always enjoy, whether it is a ‘positive’ juice or a blueberry spice. However, wagamama now have a large range of teas! While their green tea is complimentary (and goes with everything on the menu! ), they have expanded their list to include all the best herbal and non-herbal teas. We just couldn’t resist the jasmine flowering tea which looks fantastic in its clear glass teapot. If you were looking for some after-dinner drinks, they also have coffee and black teas available. Southside Shopping Centre was honoured last week to host the regional finalists of the Young Enterprise Company Programme competition which gave a unique insight into the possible businesses of the future. The young entrepreneurs came from Putney High School and Dulwich College and impressed shoppers and staff at Southside with their creative business ideas including reheatable cushions, personalised bags, travel organisers and innovative chopping boards. The prize for Best Sales Team was awarded to Emotional Baggage who designed and sold personalised bags. Best Looking Sales Stand was awarded to Interlock who designed and sold an innovative travel case and Best Product was awarded to The Cushion Company for their reheatable cushions made from recycled material. General Manager, Neil Churchill said ‘We have been extremely impressed with the level of work and commitment the students have put into their business ideas and how well planned they have been. It is inspiring for us to know that there are budding young entrepreneurs on our doorstep ready for the challenge of running their own business and with some fantastic ideas. We wish all of the students the best of luck as they go on to the National Finals and hope the experience they have had here at Southside has helped give them an understanding of the selling process’. The Young Enterprise Company are a national charity which gives 15-18 year olds the opportunity to set up and run their own business with local companies for one year, with the support of local business advisers. Did you see the surprise from World Heat Beat Music Academy? World Heat Beat joined us at Southside last Saturday, 21st January 2017, to bring the warmth of Brazil to the cold of London as they performed for our shoppers. With a crew of 45 performers, featuring Brazilian superstars Almir Pessoa and Pepe Barcellos who flew in from Rio especially, the young music stars of the Academy delighted shoppers with their music which had plenty of Brazilian flair! The entertainment began in Muffin Break and Uniqlo with children from the age of 7 playing a range of instruments including drums, flutes and violins. The sound drew in the crowds who were both surprised and enthusiastic to hear the sounds of Brazil. 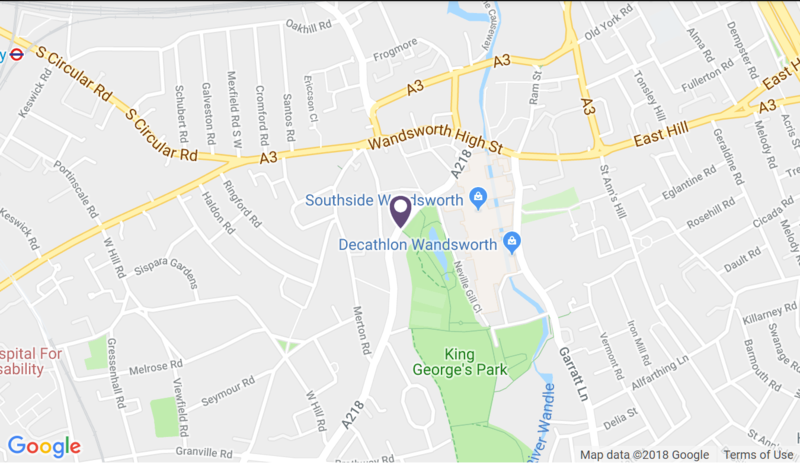 Sahana from World Heart Beat said, "World Heart Beat Music Academy is a joyous environment for learning and playing musical instruments situated at the epicentre of Wandsworth borough's cultural activities. We pride ourselves on being part of the local community and sharing the inspiration and bountiful joy of our young musicians at the Southside Shopping Centre was absolutely thrilling. It was a beautiful experience to treat Southside shoppers to an impromptu extravaganza from the energy and vibrancy of some 70 young heartbeat musicians springing up from all corners of the mall into what became an instant party of great music and fun that brightened everyone's day." World Heart Beat Music Academy envisions a global environment where music, as a universal form of communication, bridges cultural, political, social, economic and linguistic barriers. World Heart Beat is a registered charity that works to give all children the opportunity to learn an instrument, regardless of their background. Their aim is to celebrate every young person’s potential for lifelong achievement in the field of music and beyond. Southside’s Insider Scoop – 4DX! We sent a man on the ground to test out the new 4DX experience at Cineworld Southside last night with the showing of Rogue One: A Star Wars Story. Don’t worry though – we haven’t included any spoilers. When our insider first entered the foyer there was a lot of excitement and chatter due to all the changes. The dazzling lights from the new digital screens are a glimpse of what to come once inside the screen! The staff were all friendly and more than happy to help with getting your ticket if the machines are all too busy. There was plenty of space in the foyer and the 4DX signage makes you feel like a VIP when you enter the foyer. This is before they check your ticket! Once you’re entering the screen, the first thing that will grab you is the size of the screen! You can almost immediately feel like you’re inside the movie. Then you’ll notice the plush red seats. The red velvet makes this distinct from the leather chairs in the other screens and reiterates the fact that you are a VIP. Once you find your seat, you’re able to get cosy even with a footrest to make you feel at home. There is a button for which you can turn off the water if you’d like (especially if you are wearing glasses) but we decided to go for the full experience. The opening sequences start and you immediately feel the movement of the seat as it tilts you forwards and backwards along with the film. The vibrations you get certainly made everyone clamour onto their seats. At various parts of the film, you’re able to stop all the movement and there are more gentle motions as well as the vigour associated with battle! Not to mention that a scene with rain did result in drops of water sprinkling over you so that you really feel a part of the movie. There are of course also fans that help you feel like the fighter jets are actually whizzing past or that they’re bullets have just missed your head. Smells, mist, smoke and lightning are also present throughout the movie to give you an ultimate climax of the whole experience. Initially, we must admit that it is a little distracting – but simply because it’s new! Once you are enthralled in the movie, 4DX helps you escape completely by feeling like you are really inside. We were also amazed at how well synchronised all the effects were with the film so when they look up you do too.